You’ve probably heard a lot about Instagram, the popular photo sharing app, but may be wondering how it fits into your social media marketing strategy. This past April, Facebook dropped $1 billion dollars on the popular company. Since the acquisition, membership has skyrocketed from 30 million to over 100 million users and has more mobile users than Twitter, according to Mark Zuckerberg. With such a large and active community, Instagram is an ideal tool for building your company’s brand through mobile marketing and we are going to share how. Instagram is a free app, available on the iTunes App Store and Android Apps. After you install the app, all you need to do is enter a username and password and you’re up and running. The easiest way to connect to users is through social media sites Facebook and Twitter. Posting pictures to your Facebook account is simple, and people who “like” you are more likely to follow you on Instagram. Also by linking the app, you can automatically view the Instagram accounts of your Facebook fans, giving you instant access to an already interested user base. Another good way to attain followers is through hashtags. By captioning your pictures with relevant tags, you can make it easier for users everywhere to find you. The hashtags also translate over to Twitter, if you choose to share your pictures there, but you don’t necessarily have to have Facebook integration. Instagram’s customer base is notoriously hip, so in order to keep your followers engaged, your feed should feature more than pictures of products with their descriptions. For example, Starbucks, one of the most-followed accounts on the whole database has nearly one million followers, posts more pictures of their employees and promotional events than they do their coffee. Give your account character by documenting the things that make your company unique: employees, milestones, interesting things around the office to endear you to your audience. Free services like Statigram and Webstagram shows the user how your followers are interacting with your Instagram. Comprehensive statistics track your follower growth, most popular hashtags, most popular filters, and much more. By summarizing your biggest assets, these sites give the proper reading of these charts that allow you to optimize your account. With more people getting smartphones every day, mobile marketing through the Instagram app is growing stronger and stronger, especially as a tool for better business brand building. 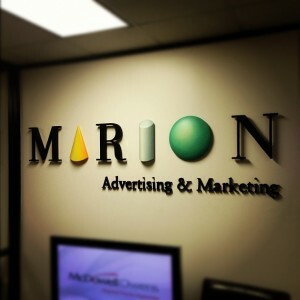 MARION Integrated Marketing can help you cultivate a unique brand identity, so call us at 713-587-6427 or send us an email today.